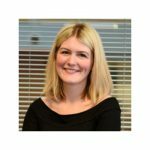 Dr Jessica McCarrick is registered as a counselling psychologist with the Health and Care Professions Council and a chartered psychologist with the British Psychological Society. She works as a Senior Lecturer in Counselling Psychology at Teesside University, training others to become qualified psychologists. She provides psychological services within the NHS and supports people adjusting to physical health conditions. Dr McCarrick has published research exploring male survivor’s experiences of domestic violence and has ongoing research in the areas of domestic violence and mental health.